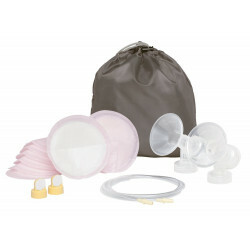 Now you can refresh your double electric Pump In Style® Advanced breastpump with a new double pumping kit. 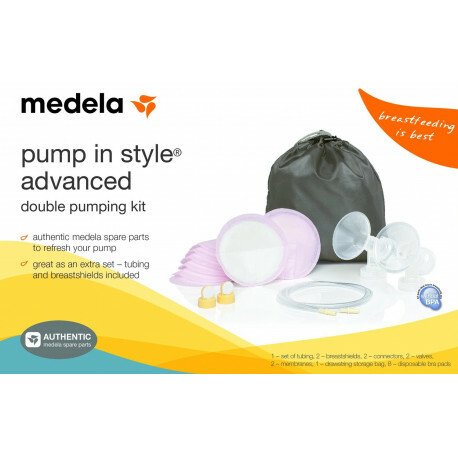 Authentic Medela spare parts to refresh your Pump In Style Advanced breastpump. 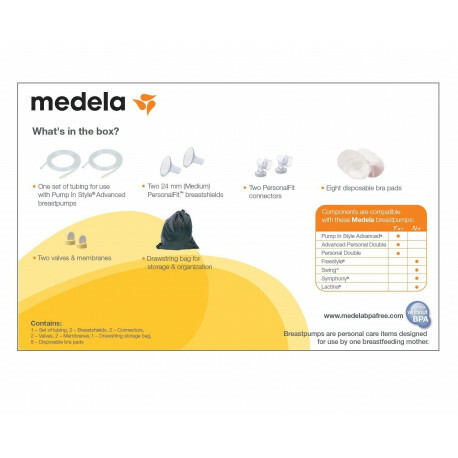 Great as a spare set or to replace a your worn or damaged kit. 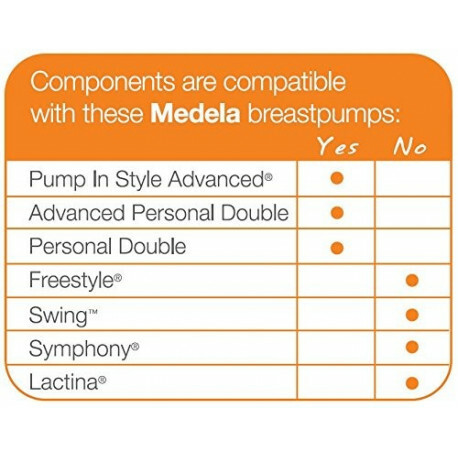 Includes PersonalFit™ breastshields and connectors, so you can use different sizes over time if necessary. Accessory bag keeps the kit clean and organized. Unit dimensions:4 1/2" x 7" x 5 1/4"